Automotive Ethernet provides link bandwidths of 1GBit, time information accurate to nanoseconds and redundant network topologies. Excellent features for the autonomous automobile of the future. However, this also means radical new requirements for the test and measuring equipment in simulation, development and testing of such high-performing systems. 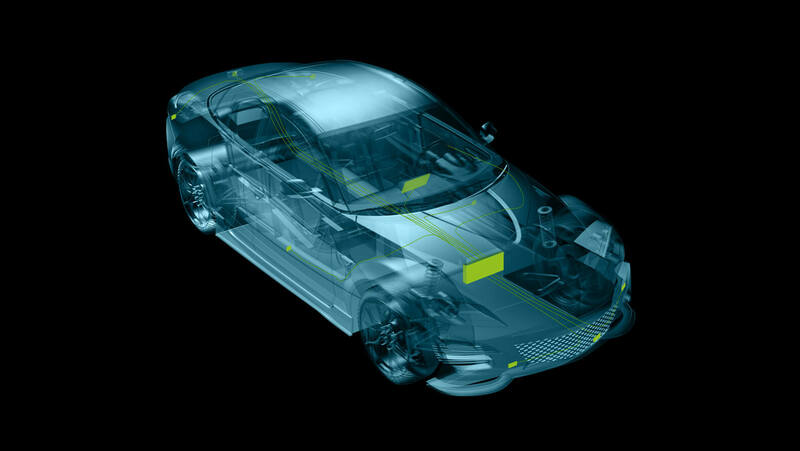 Master the challenges of Automotive Ethernet with solutions and know-how from UMAN. We offer a wide range of services and products, from technology consulting to AVB/TSN stack development and turn-key solutions. UMAN develops generic software stacks, particularly for TSN and AVB in the automotive sector. Based on our FPGA-based test & measurement applications, we adapt and implement solutions for various platforms. Either off the shelf or customised. We work closely with many chip manufacturers. This is why our stacks are robust and efficient. Contact us. Want to know more about AVB/TSN Stacks and Uman? The core of each Ethernet-based network is a switch. This is even more important in a deterministic real-time network. So it’s good that UMAN developes stacks for end-nodes and also firmware for automotive TSN switches. We think this know-how is essential. If you would like to be involved, we look forward to hearing from you. Want to know more about AVB/TSN Switch Firmware and Uman? The starting point for launching new technology is always the known. That is why we built a bridge for your Automotive Ethernet proof-of-concept: The Can2Ethernet Bridge. With this tool you can quickly take your first steps in the world of Automotive Ethernet and thereby get started in the well-known signalling of CAN and CAN FD. Want to know more about Can2Ethernet Bridge and Uman? Regardless of whether the future E/E architecture will be structured in domains or zones, gateways that connect the CAN, Flexray and Most with the Ethernet Backbone will always be required. With UMAN solutions you can flexibly and simply route signals and analyse various scenarios and topologies. Our solutions support all types of AVB or TSN in 100 Mbit or GBit. Want to know more about Ethernet-Gateways and Uman? Ethernet is not a bus! That is why it is not always so easy to get to the link data if you are actually interested in the communication. We provide you with solutions that make the real-time data visible on a link level in a comfortable and minimally invasive way. Want to know more about Media Converter/Tap Devices and Uman? 1 GBit of data per second has to be prepared cleverly so that you can run your analysis without drowning in the ‘bit flood’. UMAN offers various software modules, bundled as Windows applications or as HTML5 for tablet-based applications. Want to know more about analysis software and Uman?